Tag Archive | "tablespoons olive oil;"
Ecuador quinoa recipes are a specialty of our chef, Santiago, at our hotel Meson de las Flores. 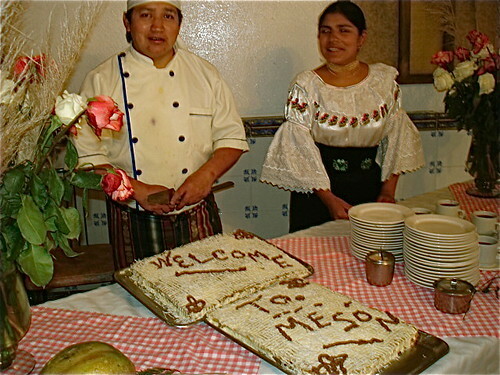 Here is Santiago with a quinoa cake he often bakes to welcome our course delegates to Ecuador. Santiago and Meson will be on Ecuador’s national TV March 9th. 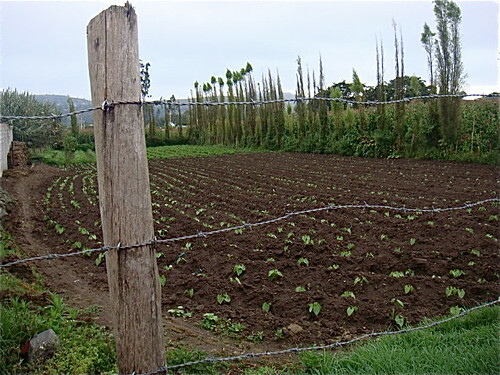 Ecuador’s rich soil, 365 a days of sun adds to the nutrition of the food grown here. Quinoa is a high protein replacement for rice or most cooked cereals. Nicki Goff, a good friend, neighbor of ours in Cotacachi and a graduate of our publishing course, just wrote about quinoa. future focused on all aspects of healthy diet. See how to have the $299 Tangled Web course free also below. Here are excerpts from Nicki’s Quinoa article. 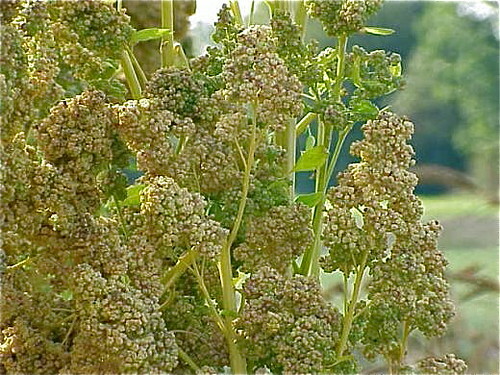 Quinoa (keen-wah) has its origins in the high upper Andes. 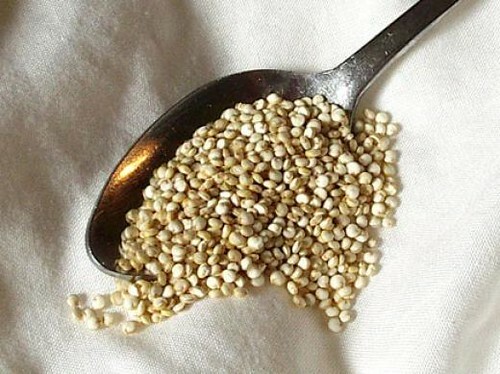 The Incas credited quinoa with medicinal and magical properties, and held the crop to be sacred, referred to quinoa as “chisaya mama” or “mother of all grains”. The Inca emperor would traditionally sow the first seeds of the season using ‘golden implements’. 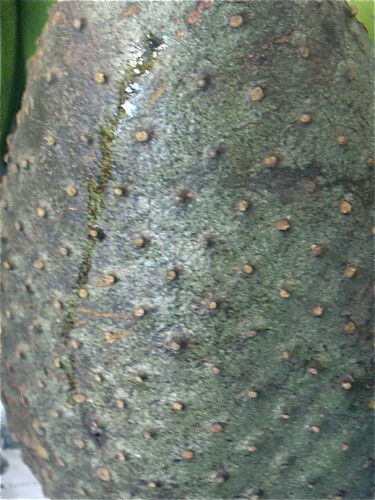 It has been in continuous cultivation in Colombia. Ecuador. Peru, Bolivia. Chile and Argentina for over 6000 years. 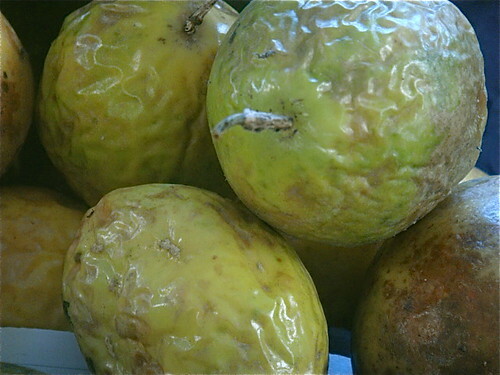 Both the seeds and the young leaves can be used as food. During the European conquest of South America quinoa was scorned by the Spanish colonists as “food for Indians,” and its cultivation and use was actively suppressed, due to its status within indigenous ceremonies. Today, it is returning to commercial favor as a grain in these countries, although it still shares first place with corn as the primary indigenous grain. Quinoa is an excellent source of protein – 12% to 18%, one of the best sources of complete protein in the vegetable kingdom. Quinoa is a source of all essential amino acids, including the amino acid lysine which helps the body produce protein. Lysine also helps the body process the protein in the quinoa and in other foods. The World Health Organization has rated the quality of protein in quinoa to be equivalent or superior to that found in milk products. Quinoa is a great source of B vitamins, potassium and riboflavin. 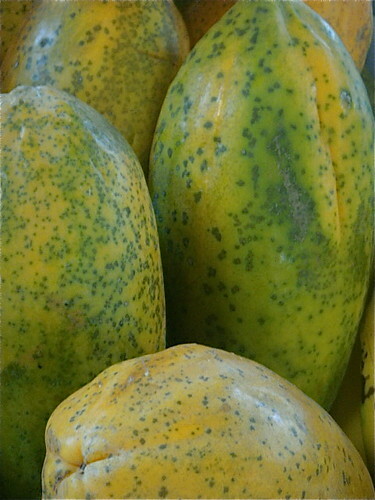 It’s also a good source of zinc, copper, manganese, magnesium, folic acid, vitamin E and fiber. This is my all-time favourite quinoa recipe. It serves 4 as a side dish or 2 as a main dish. You can read Nicki’s entire article on quinoa with more recipes including Quinoa Salad Pita Pockets and Crunchy Quinoa Peanut Butter Cookies. 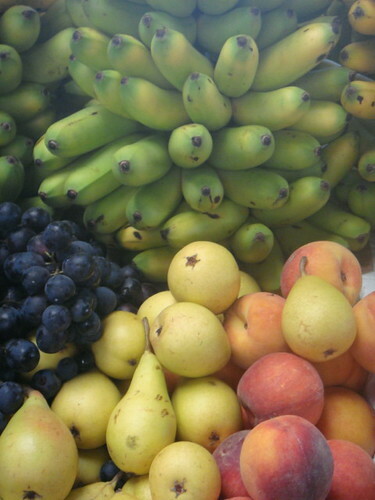 Quinoa is also great with fruit and we have just about every kind here in Ecuador. These are some shots I took at the daily Cotacachi market. I large bag of pears is $1. 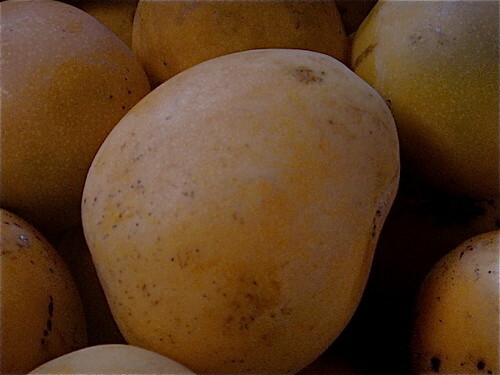 These huge, syrupy mangos maybe 25 cents each. 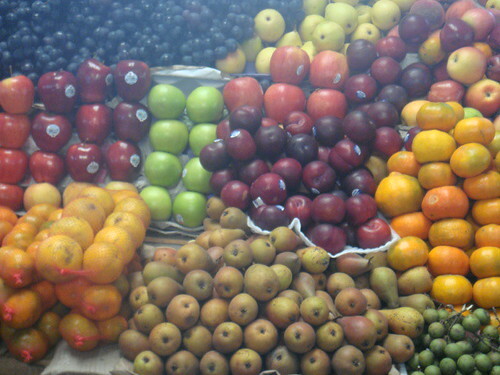 each is fresh, ripe and delicious. I think many of our delegates come here just to eat! Until next message, may all of your food be healthy and a treat! Join us in Cotacachi or the coast for our March or June tour. Enjoy the holidays festivities in March. 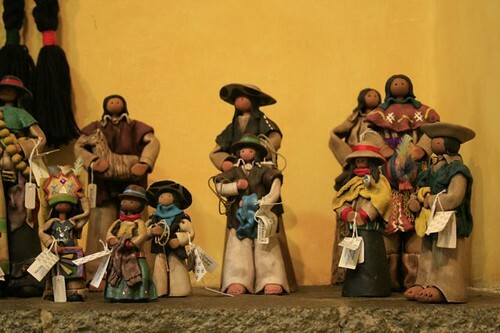 On the import-export course we’ll look at hundreds of Ecuador crafts. 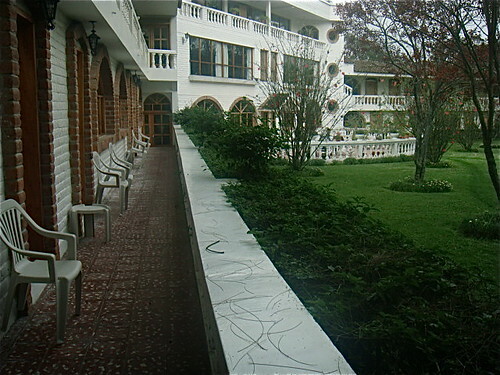 We’ll visit properties for sale like this excellent hotel with huge gardens in central Otavalo. 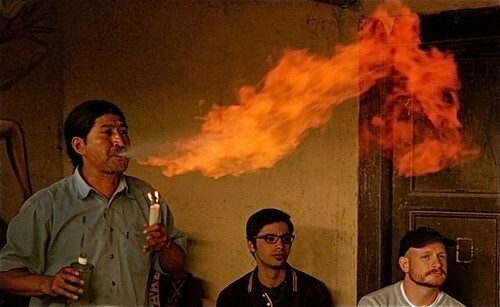 We’ll enjoy numerous shamanic ceremonies. On the real estate tours you’ll see property available nowhere else because sellers come to us first since we charge no commissions. 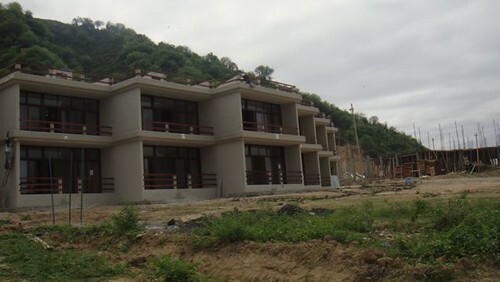 Here is one of the Vistaazul condo blocks. totally purchased by our readers at a rock bottom price because they were sold without commission. We have great social times n our tours as well. Delegates love sharing with one another. 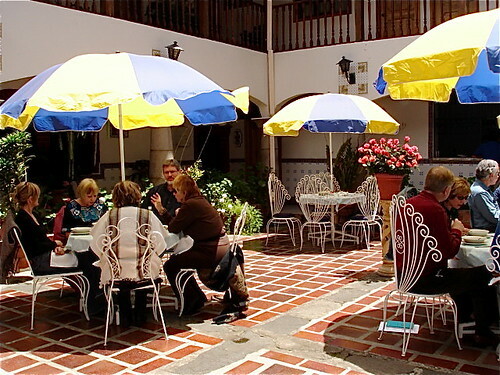 Here is one of our groups enjoying a coffee break in the courtyard of Meson de las Flores. Get our web based course FREE if you join us in Ecuador this March or June.